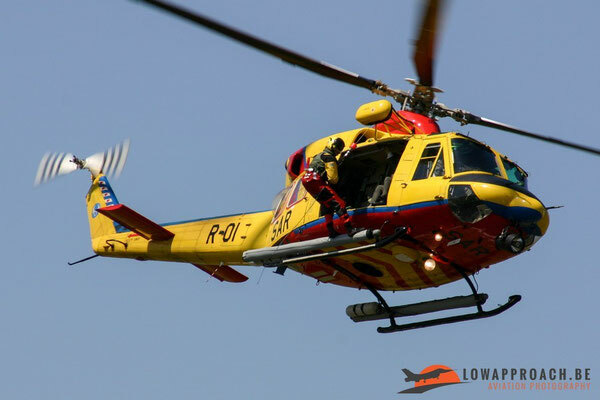 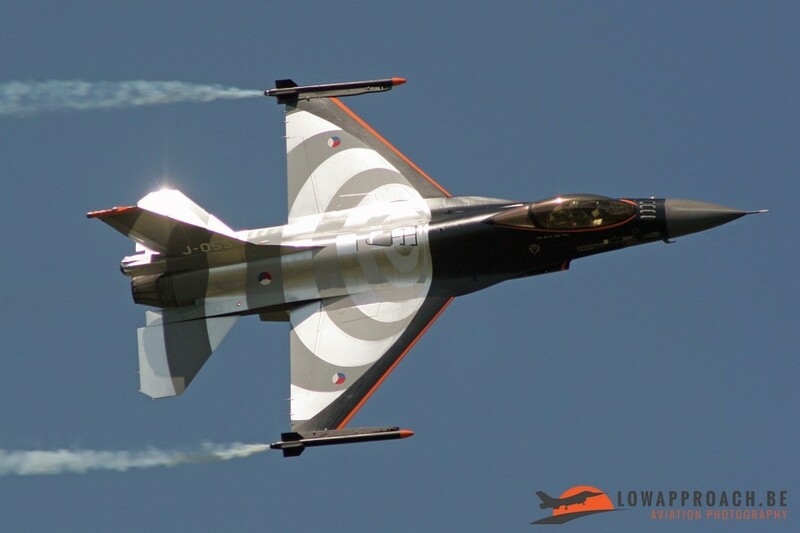 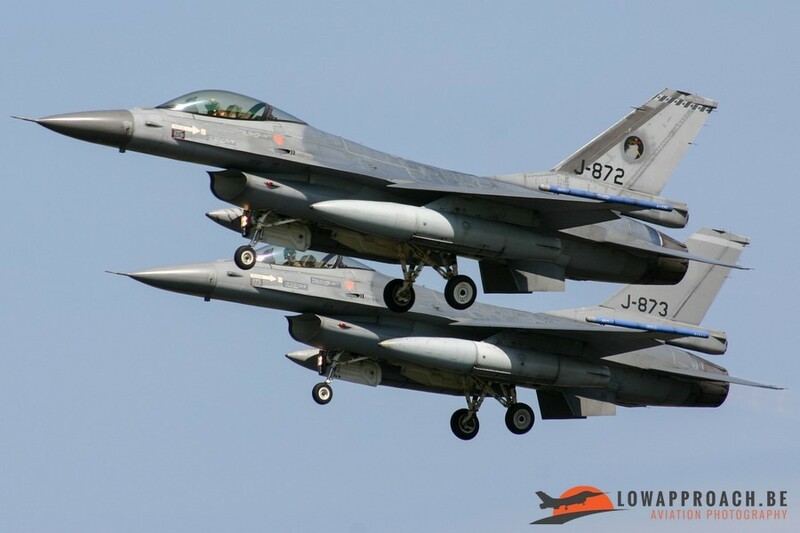 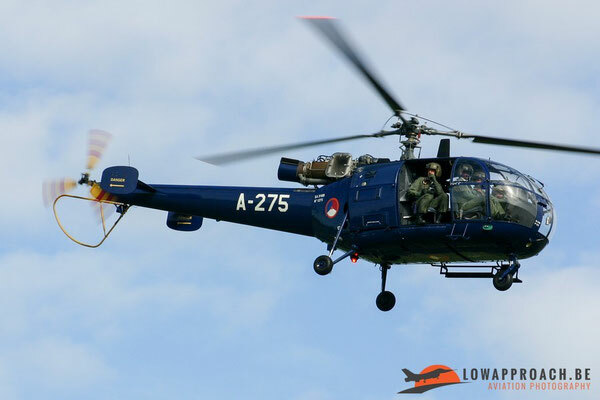 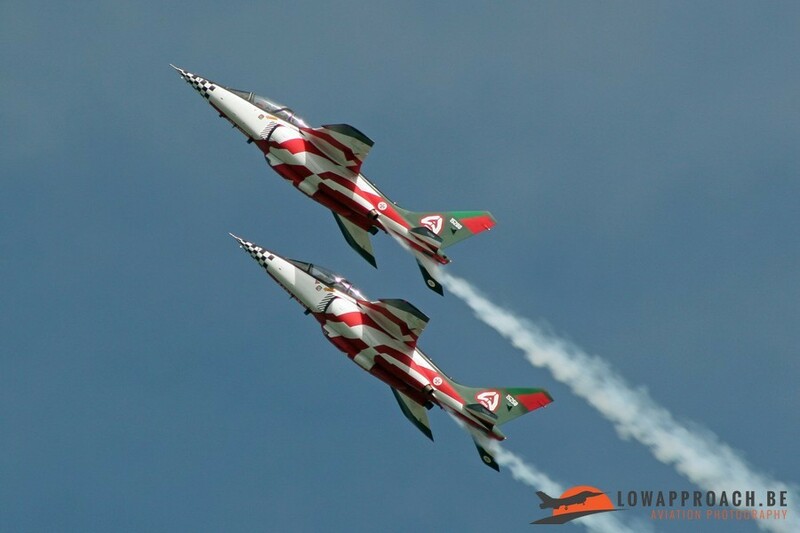 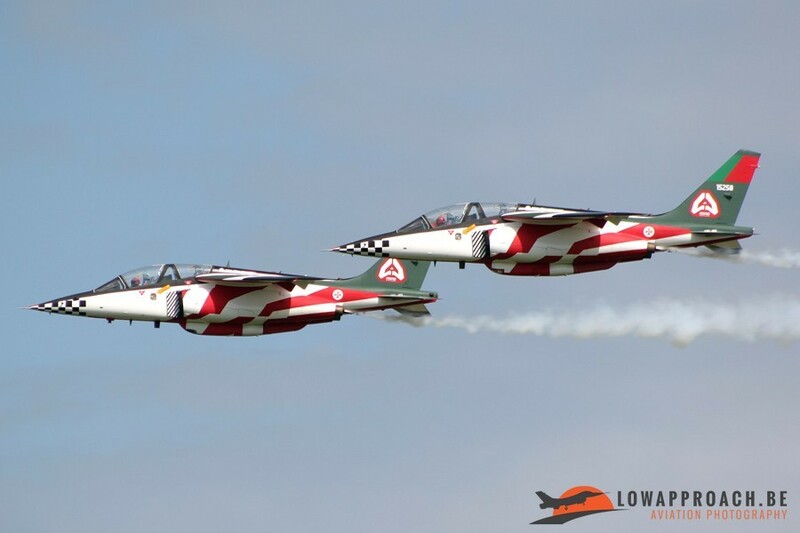 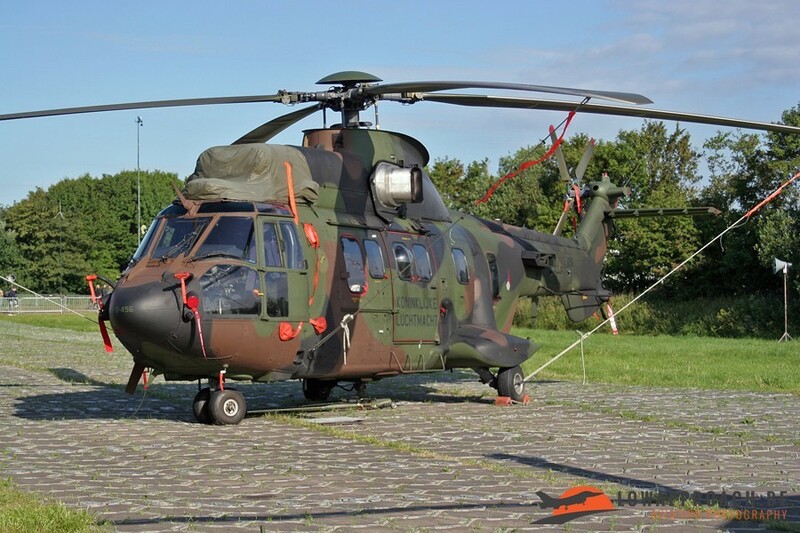 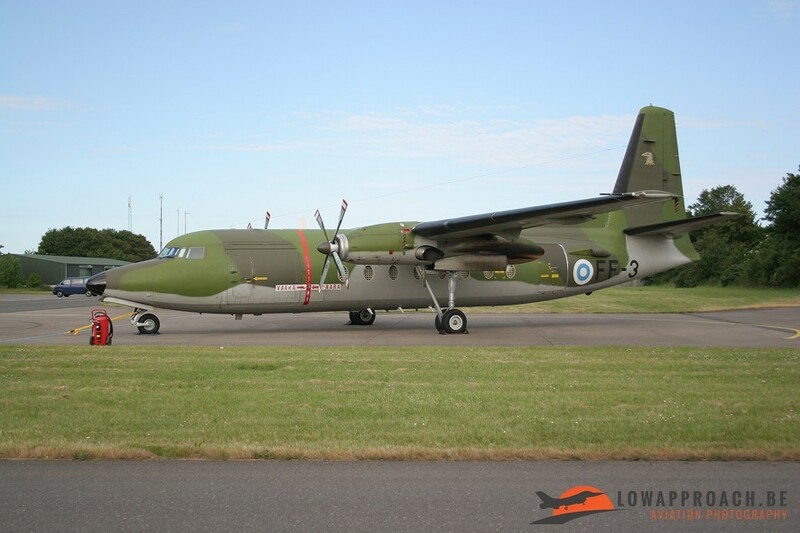 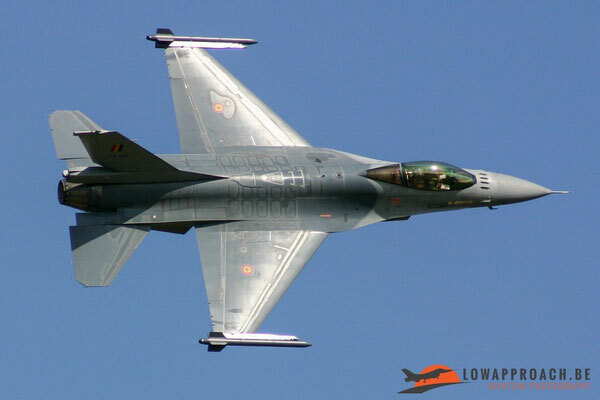 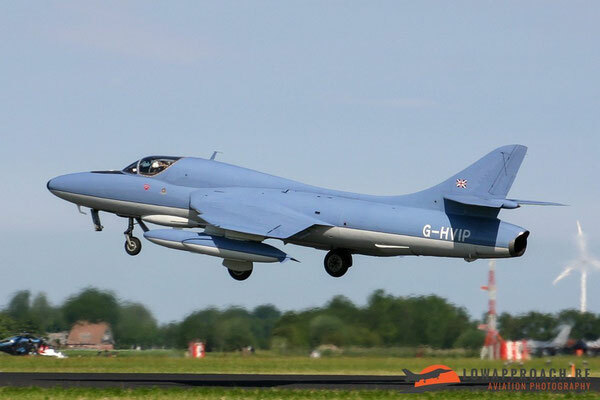 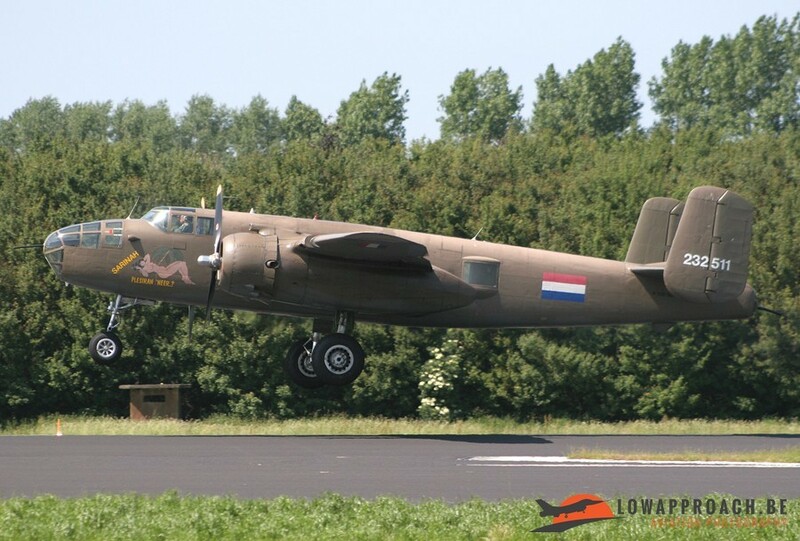 In a few months thousands of aviation enthusiast will be heading towards Leeuwarden to attend the 2016 edition of the Air Force Days organized by the Koninklijke Luchtmacht, the Royal Netherlands Air Force. As a preparation to this event we would like to go back 10 years in time to show you what could be seen at the 2006 edition, also held at Leeuwarden. 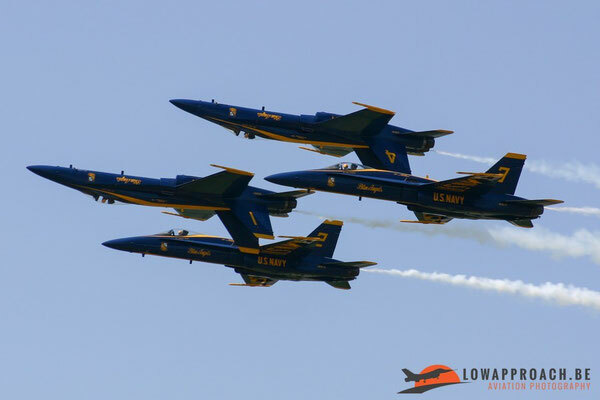 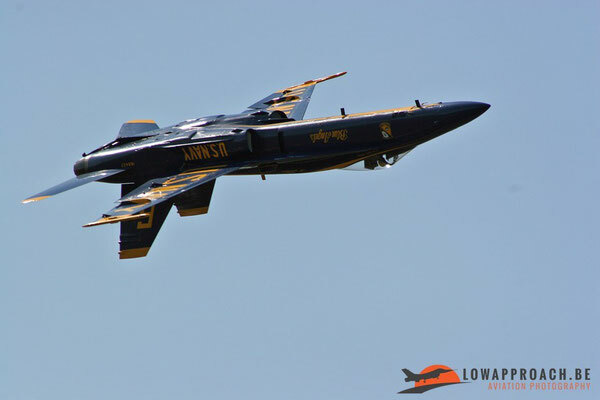 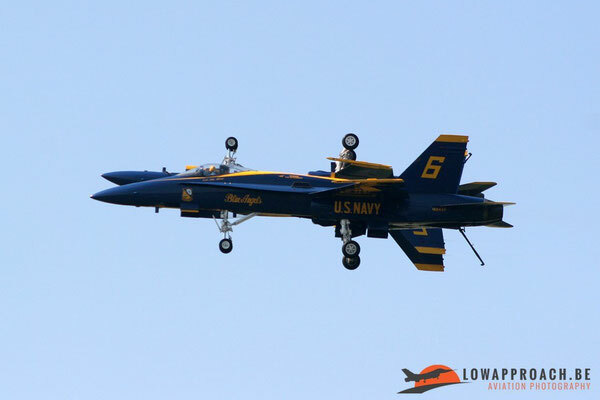 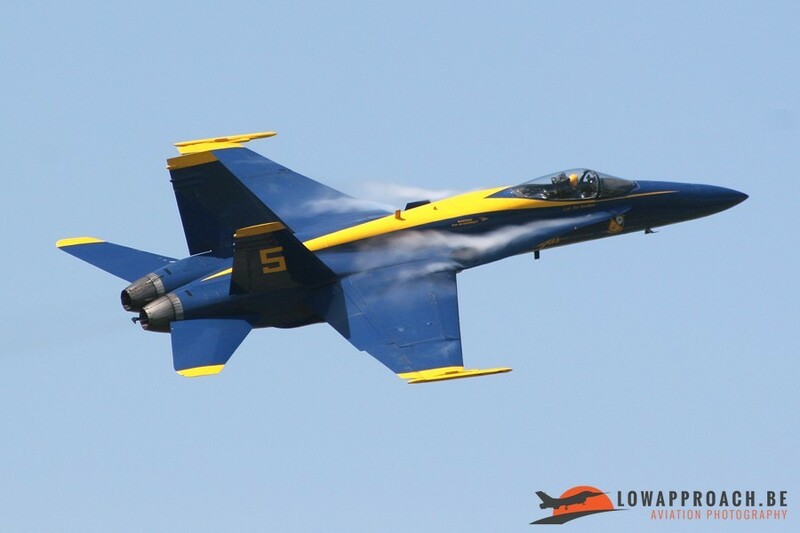 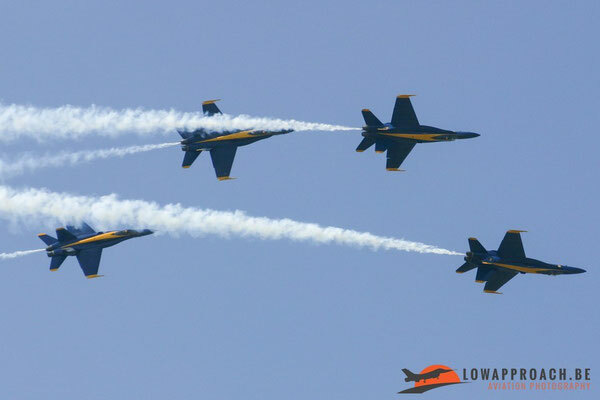 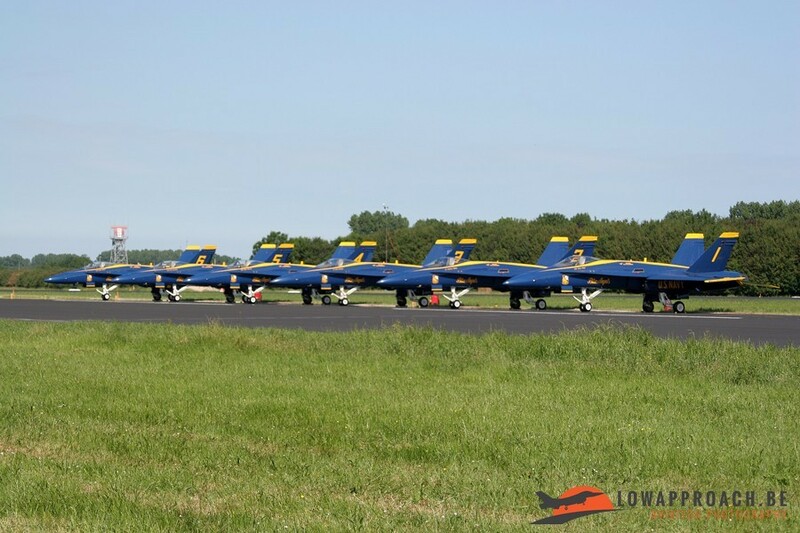 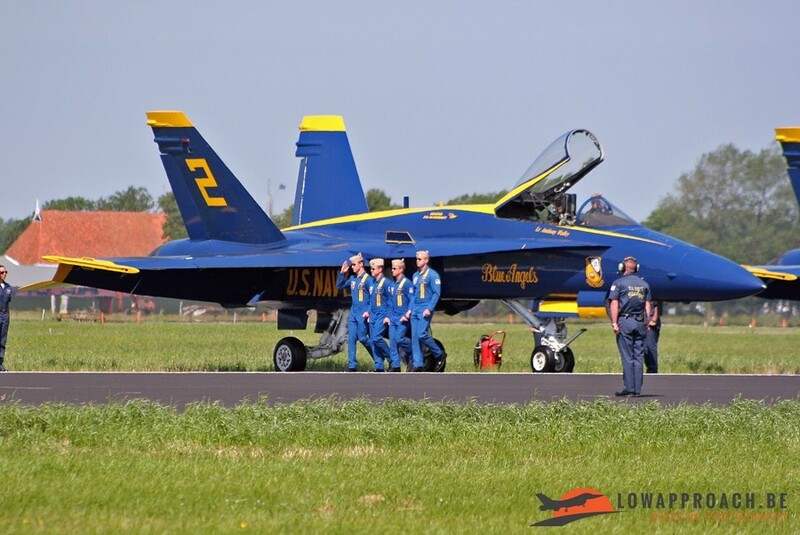 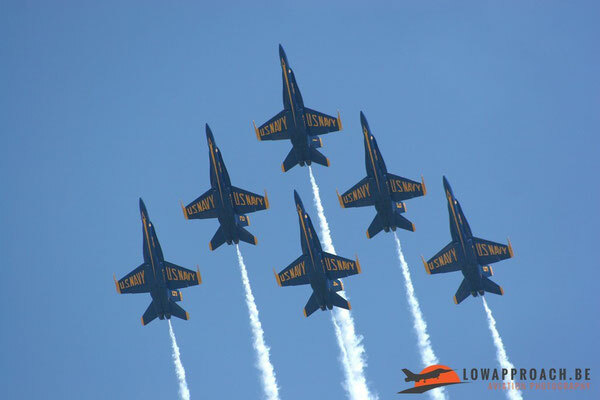 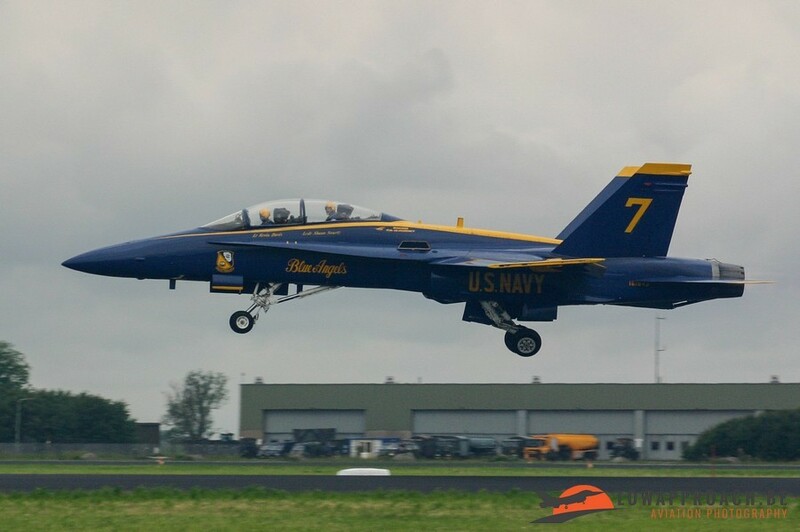 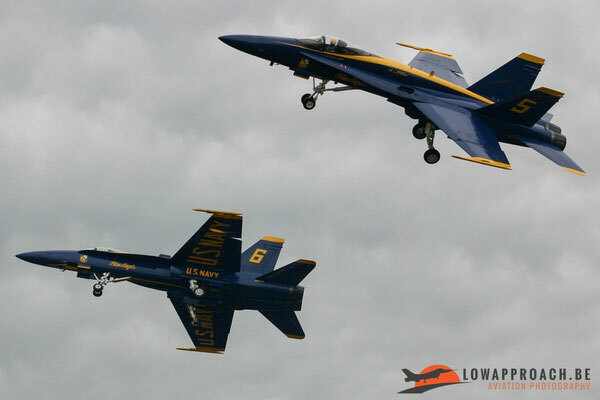 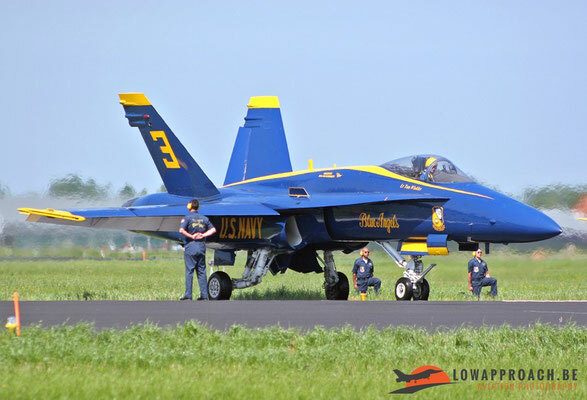 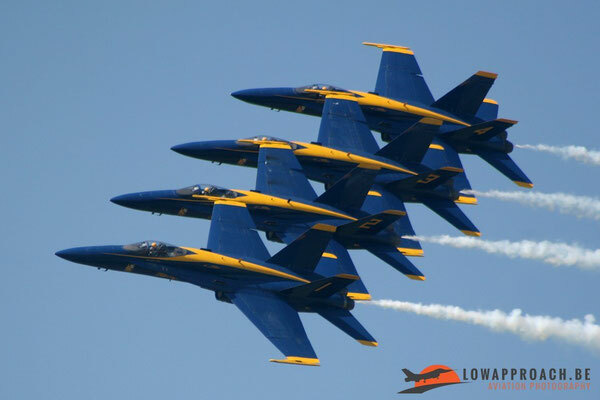 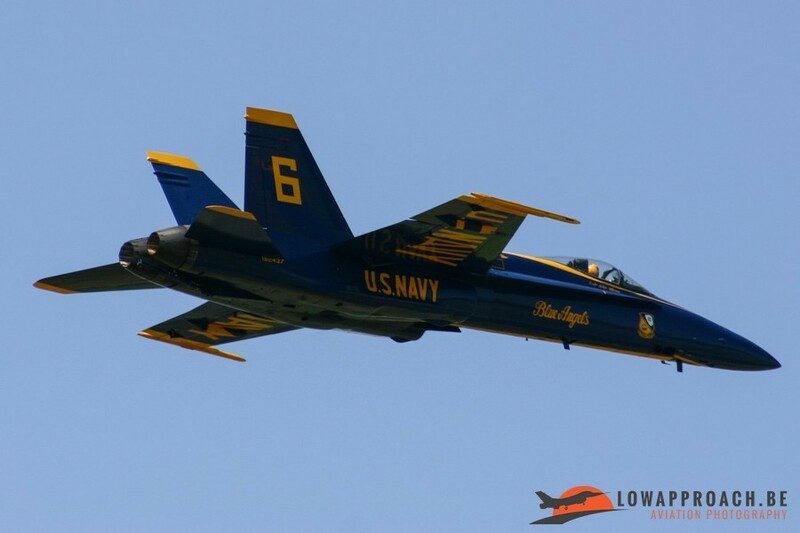 The main attraction that weekend was the participation of the 'Blue Angels', the official United States Navy flight demonstration team based at Naval Air Station Pensacola in Florida. 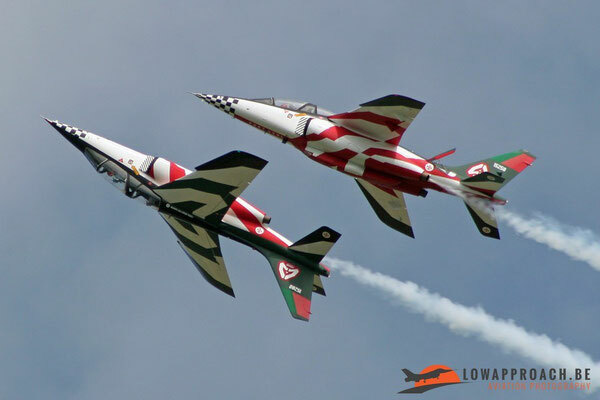 Their participation in Leeuwarden was the only show outside the United States and Canada in 2006. 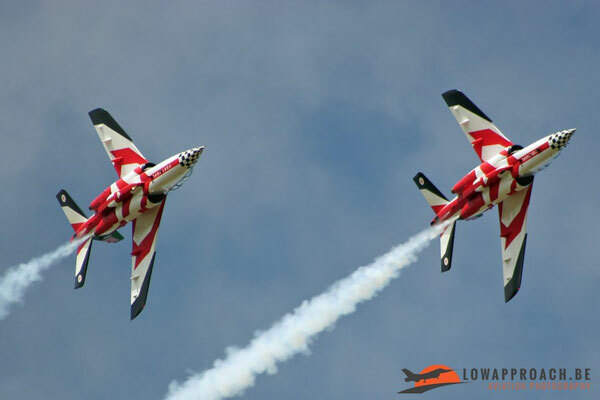 The show consists of a ground show prior to take off, a series of close formation passes and a series of manoeuvres of the main formation with a solo aircraft. 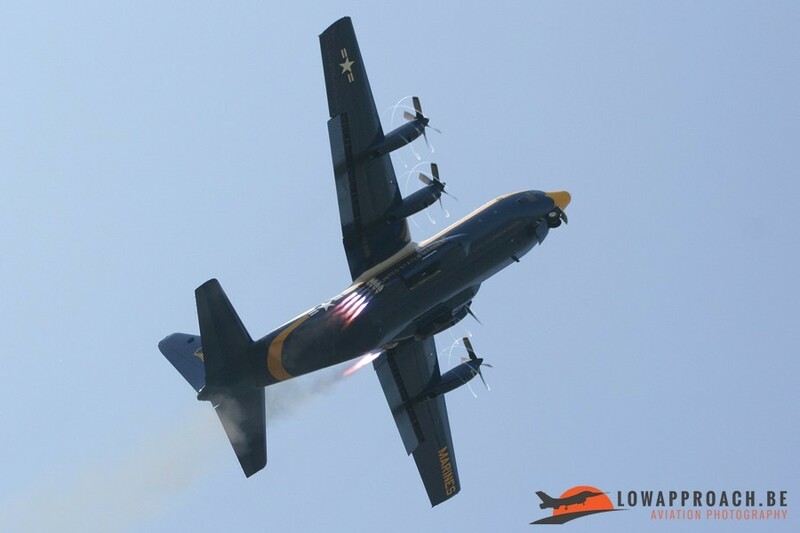 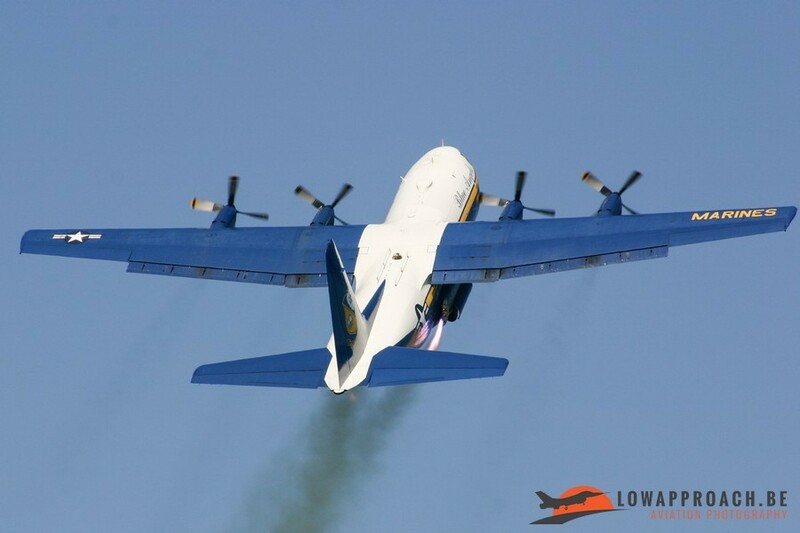 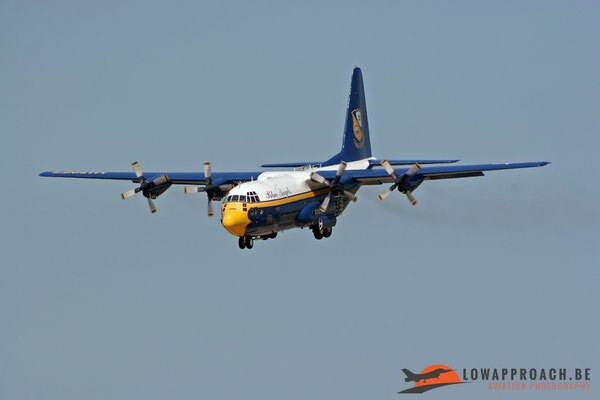 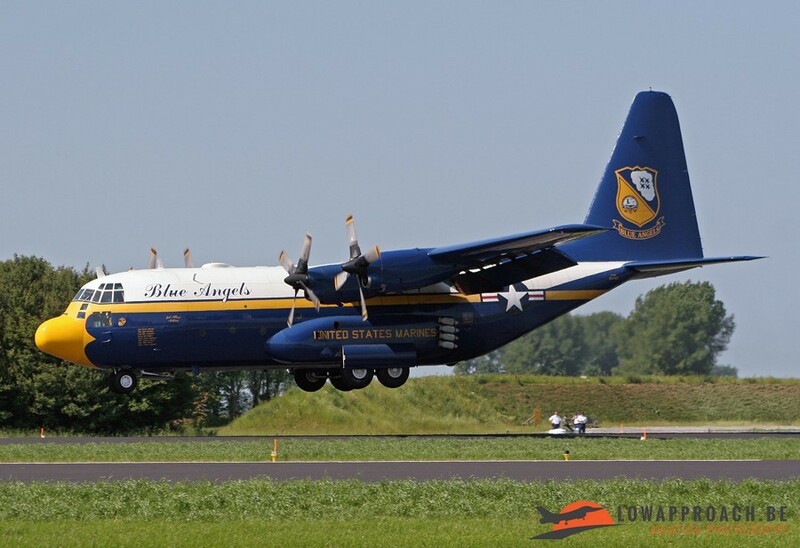 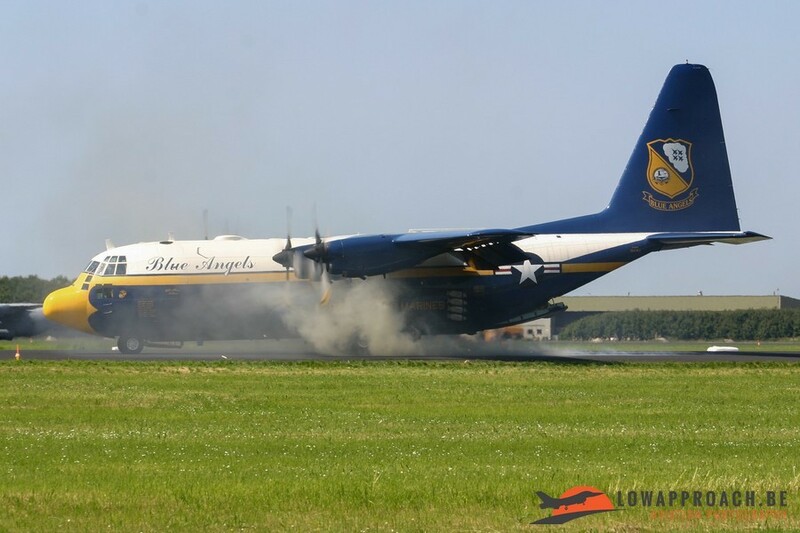 The next part of the US Navy participation was the display by 'Fat Albert', the Blue Angels support aircraft. 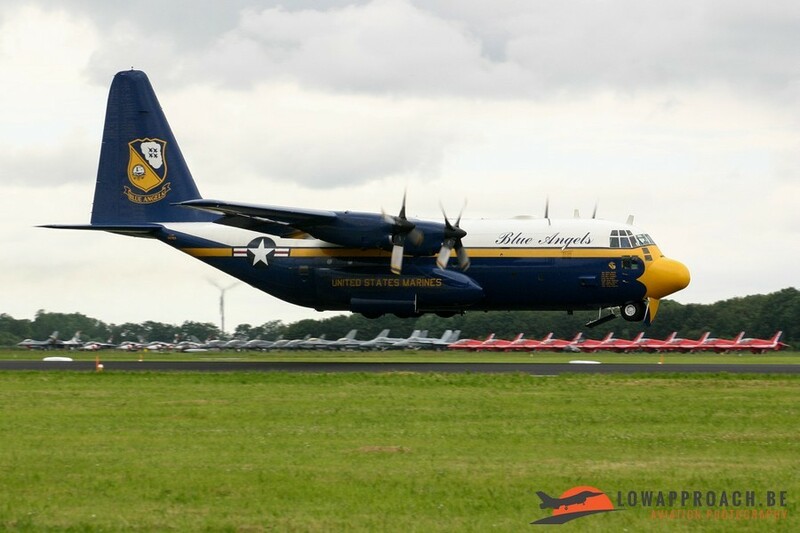 This specially painted Lockheed C130T Hercules is actually a United States Marine Corps aircraft. 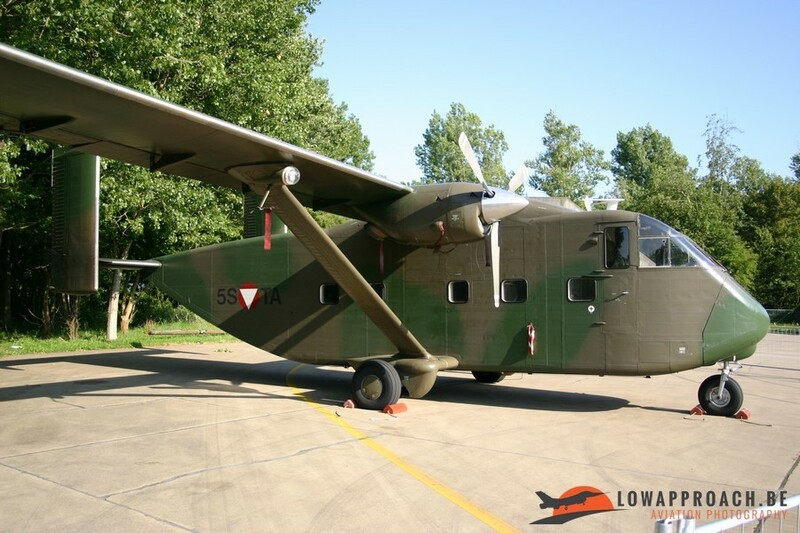 In 2006 the display of 'Fat Albert' still started with a JATO-take off. 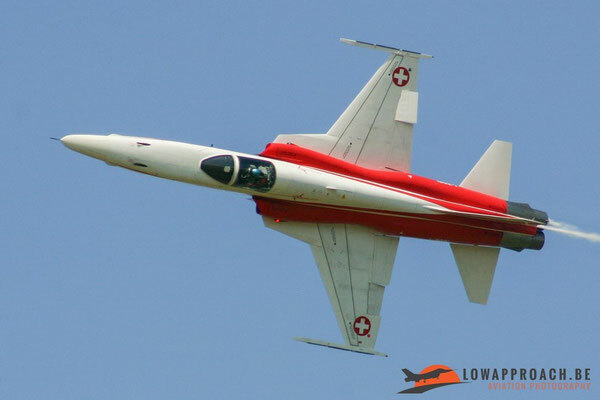 For the Jet Assisted Take Off rockets are fitted on the rear side of the aircraft to give extra power during the start. 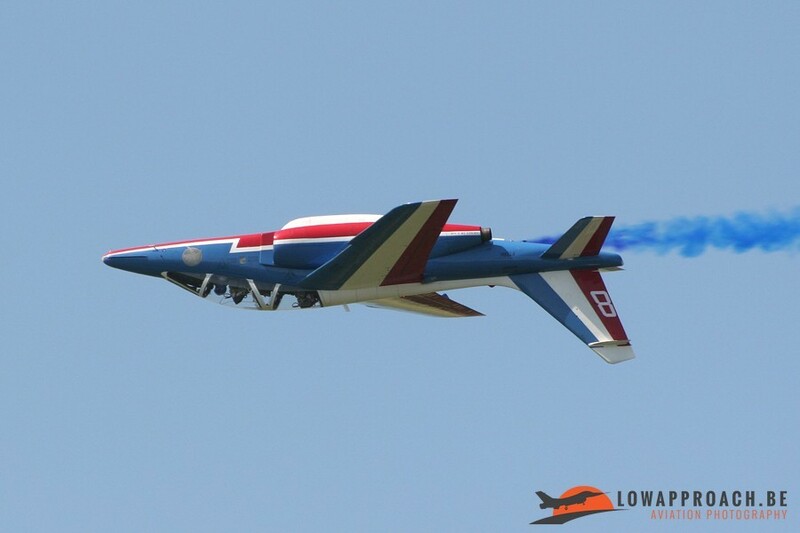 Unfortunately in 2009 they stopped the JATO-start as the US Navy/US Marine Corps was running out of rockets. 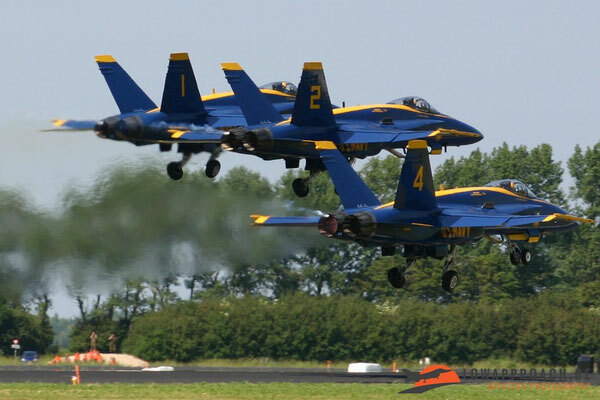 The Blue Angels were not the only aerial demonstrations team at Leeuwarden in 2006. 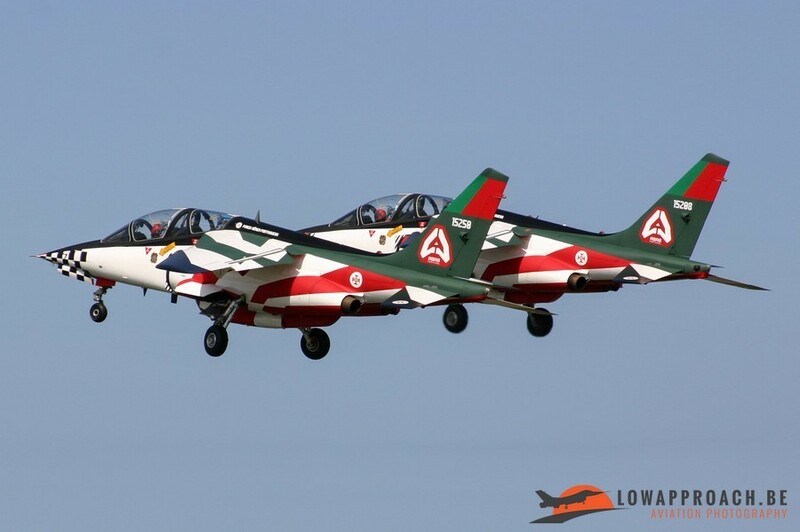 One of the other teams present were the 'Asas de Portugal'. The demonstration team of the Portuguese Air Force was created in 1977 and flew until 1990 with the Cessna T37C. 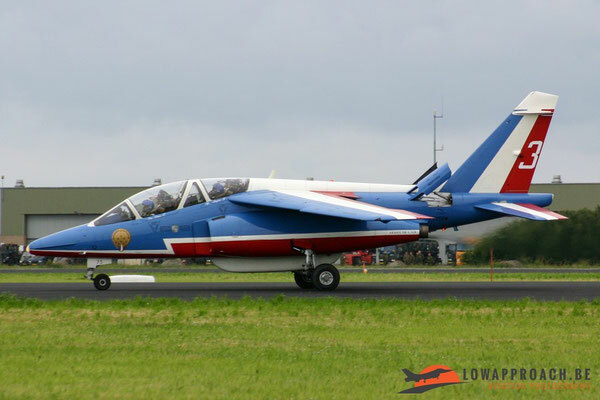 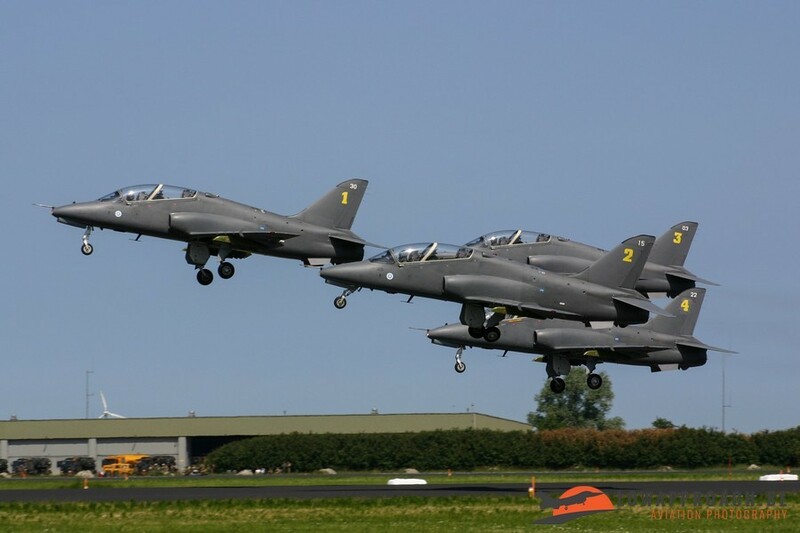 In 1997 the team was reactivated, this time equipped with the Dassault-Breguet Alpha Jet. 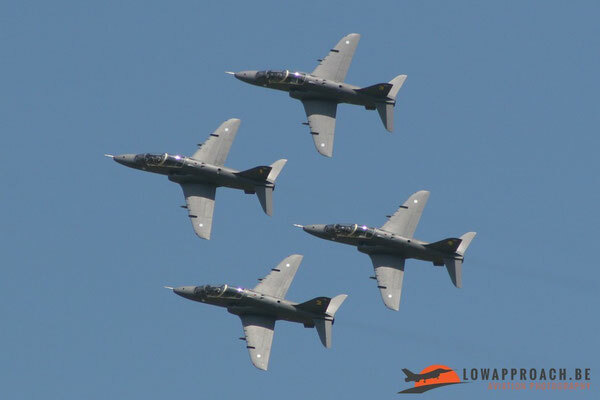 Since 1997 the team flew a number of displays as a two-ship formation, but in 2010 it again disbanded. 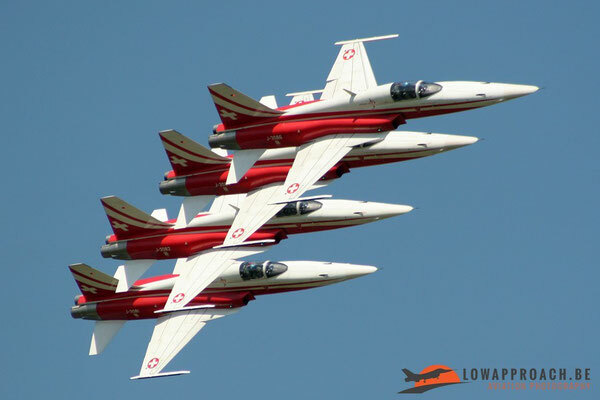 Other teams present at Leeuwarden in 2006 were the French 'Patrouille de France', the Swiss 'Patrouille de Suisse' and the Finnish 'Midnight Hawks' during one of their rare displays outside Finland. 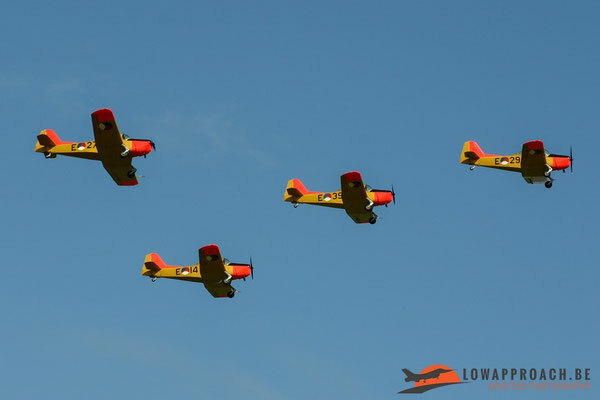 Also these foreign teams brought some support aircraft. The Patrouille de France was as always supported by a Transall C160R. 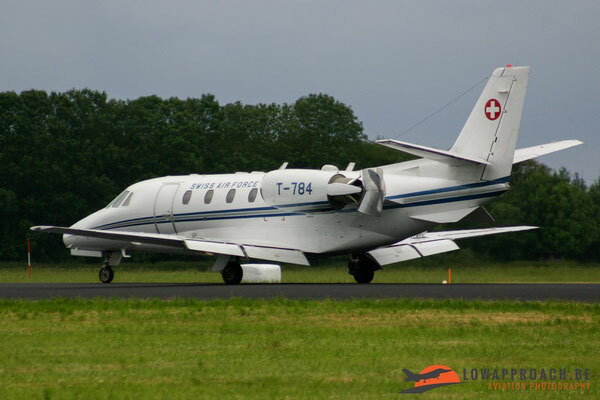 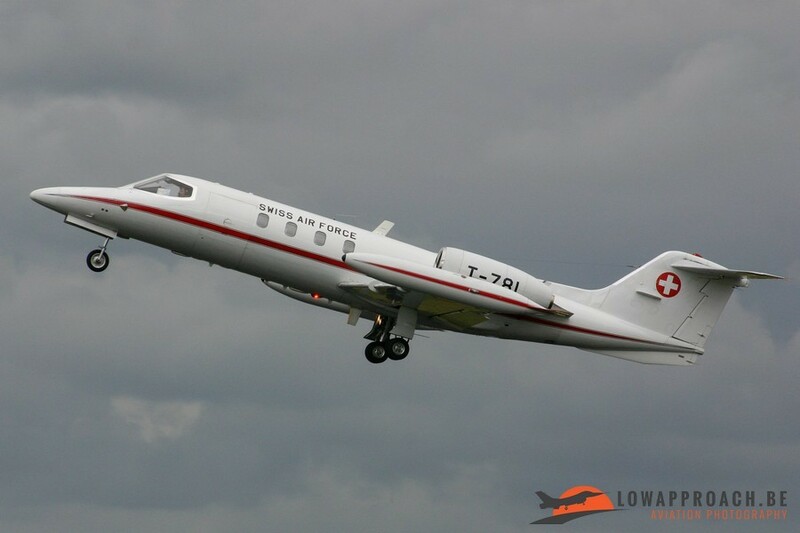 The Swiss arrived in 'style' with a couple of business jets, a Learjet 35A and a Cessna Ce560XL Citation IV. Finally the Finnish brought over their equipment on board a Fokker F27-400M Troopship. 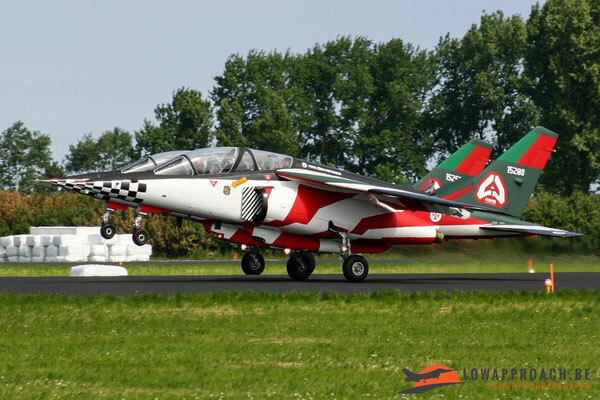 The 2006 Leeuwarden show was not all about display teams, also a number of interesting solo jet displays were on the program. 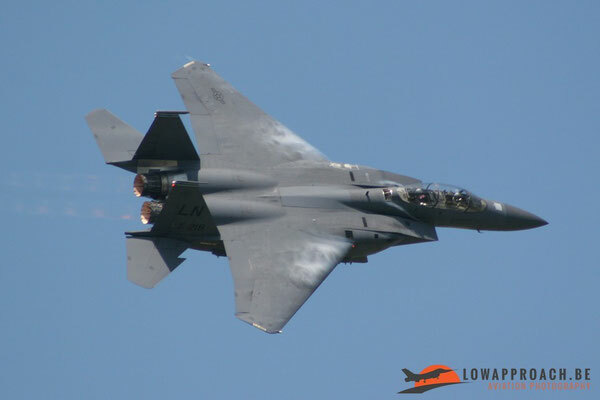 The rarest of them all was the display of the F15E Strike Eagle Solo Display Team, part of 4th Fighter Wing at Seymour Johnson AFB. 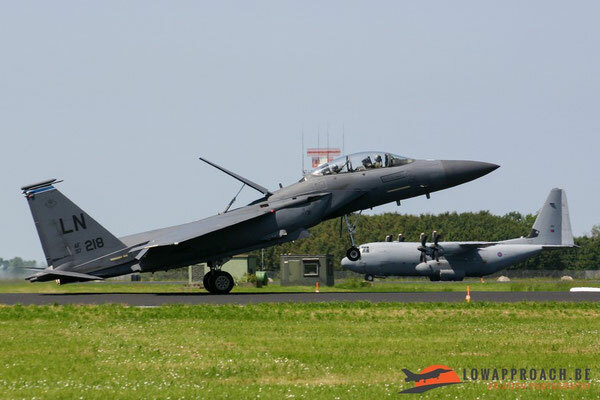 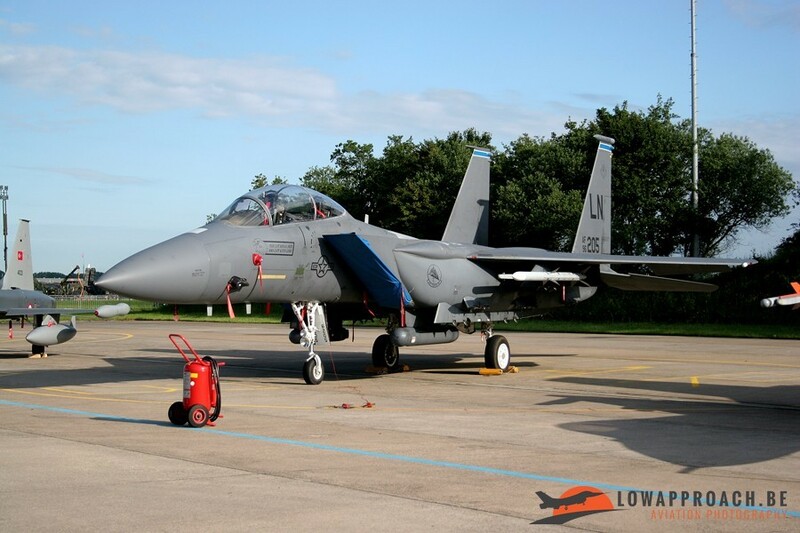 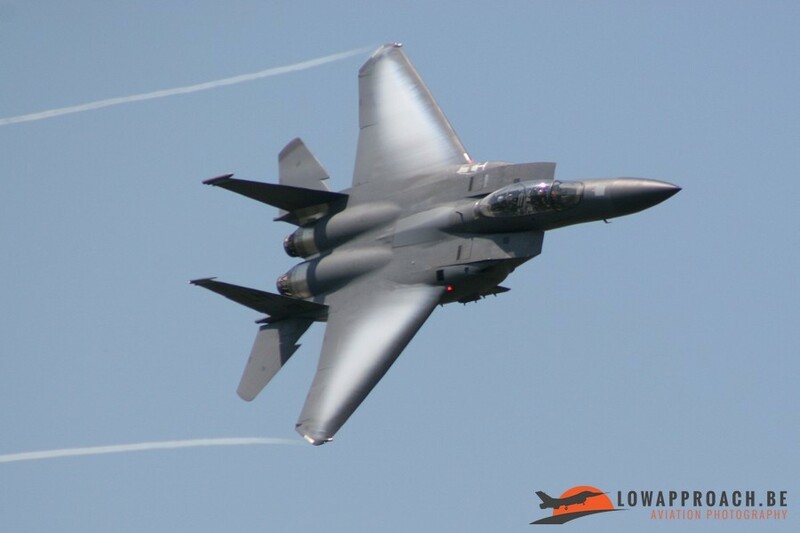 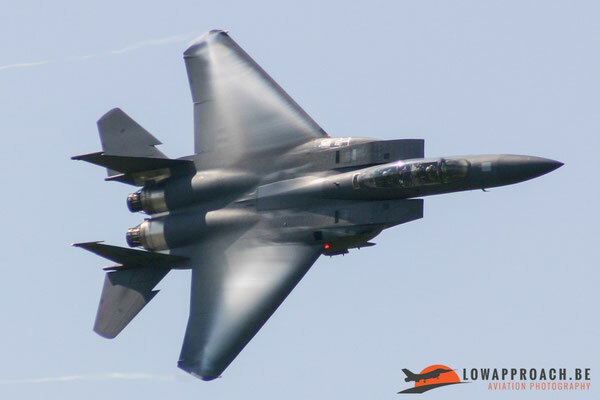 The pilot flew the display with an aircraft he borrowed from 48th Fighter Wing at RAF Lakenheath, who also supplied a second aircraft for the static display. 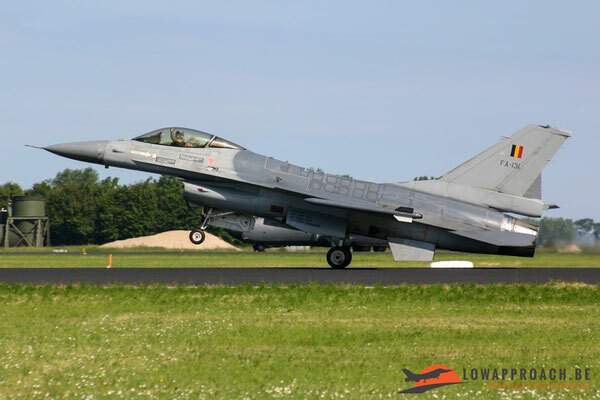 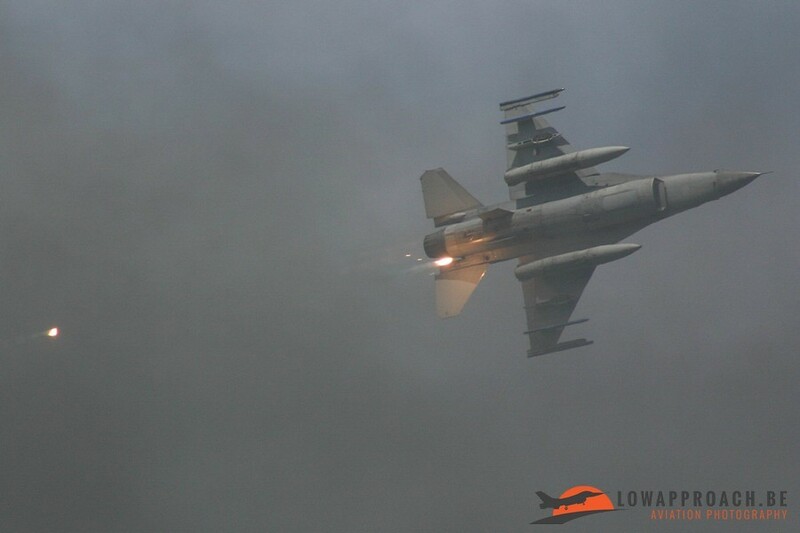 During the event we could also witness the then traditional 'F16 battle' between the solo displays of the Netherlands and Belgium. In Leeuwarden the Dutch were playing a home game and additionally they flew with a specially decorated aircraft, something that the Belgians only introduced a few years later. 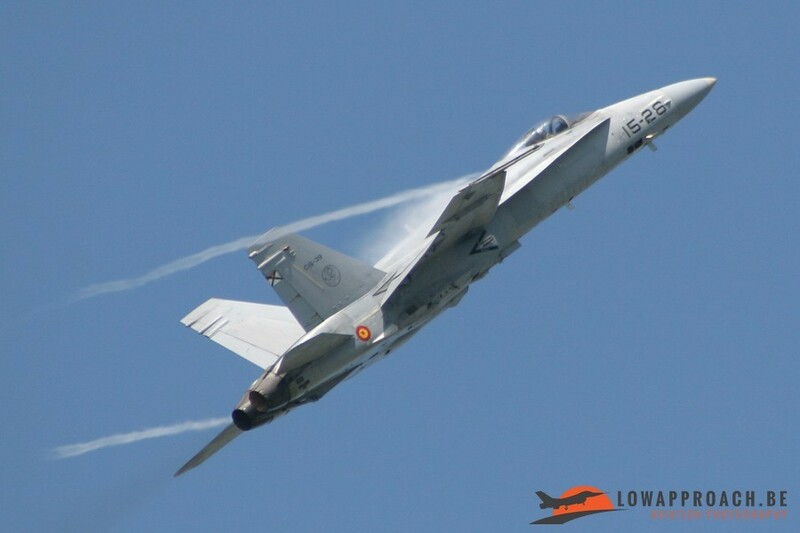 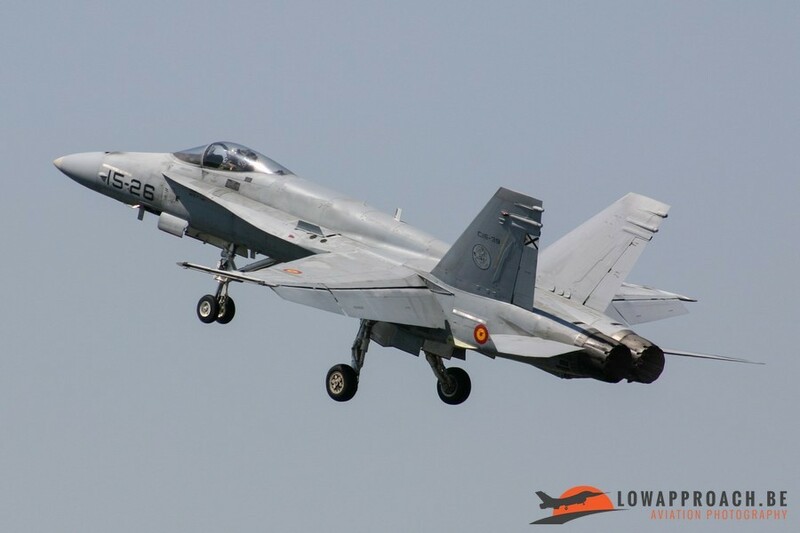 An additional solo display was supplied by the Spanish Air Force with their McDonnell Douglas EF18A Hornet. 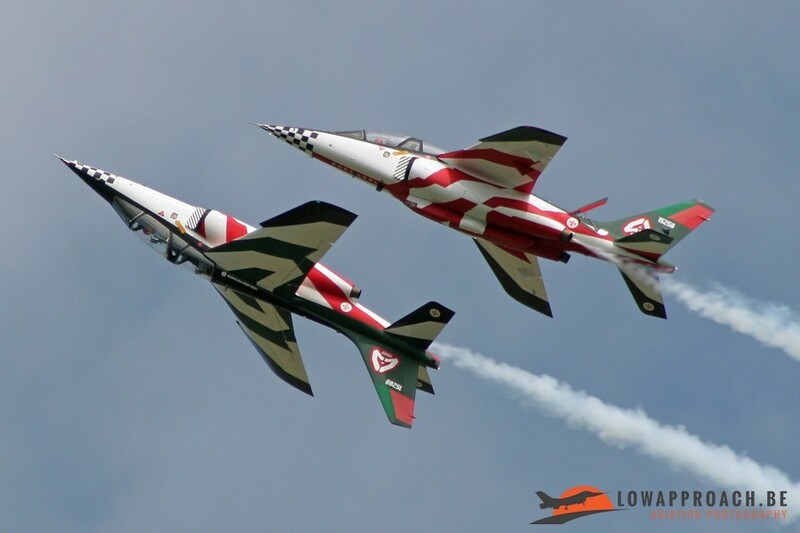 The flying display was not only about jets. 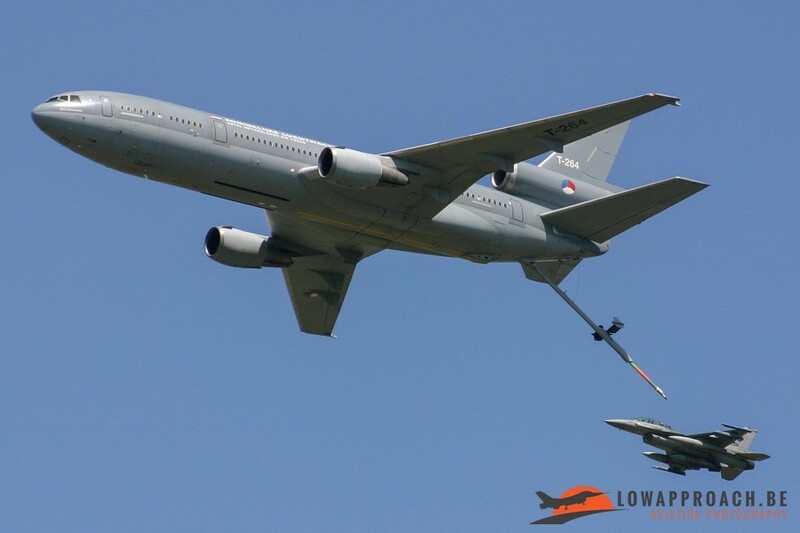 Traditionally the Koninklijke Luchtmacht staged an 'Air Power Display' to show off their operational capabilities to the public. 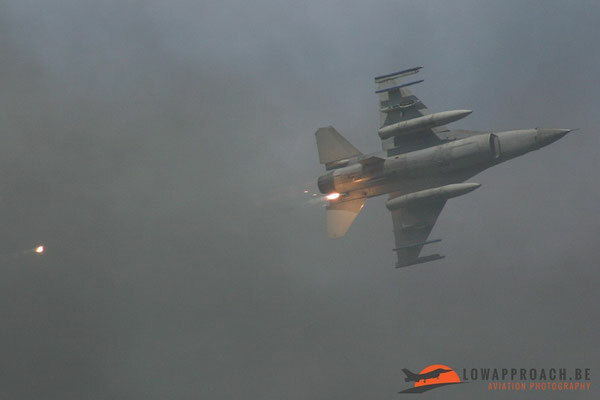 A formation of F16s performed a base attack on Leeuwarden, after which they needed some refuelling from a McDonnell Douglas KDC10 tanker aircraft. 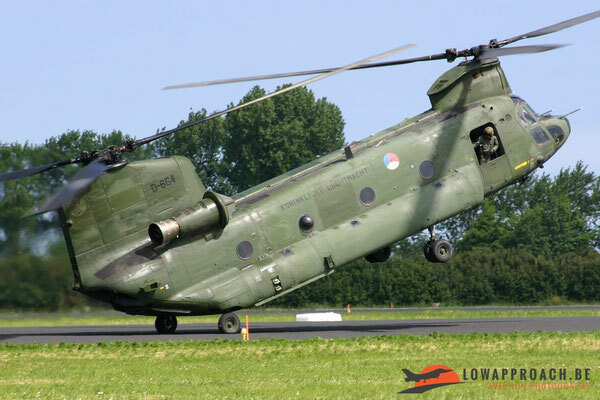 The base attack was followed by demonstrations from a Boeing-Vertol CH47D Chinook, the Leeuwarden based Agusta-Bell AB412SP 'Tweety' who did a Search-and-Rescue demonstration and who was followed by some flybys by a Sud Aviation Alouette III, the predecessor of the Agusta-Bell in the SAR-role. 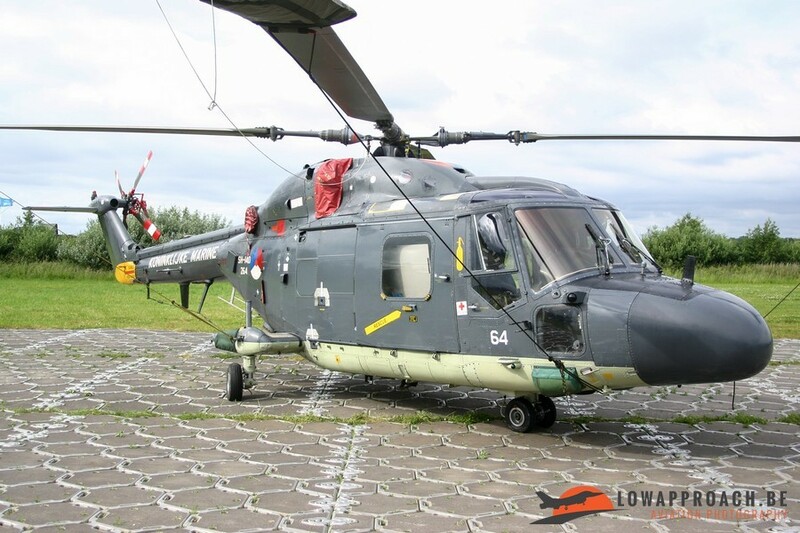 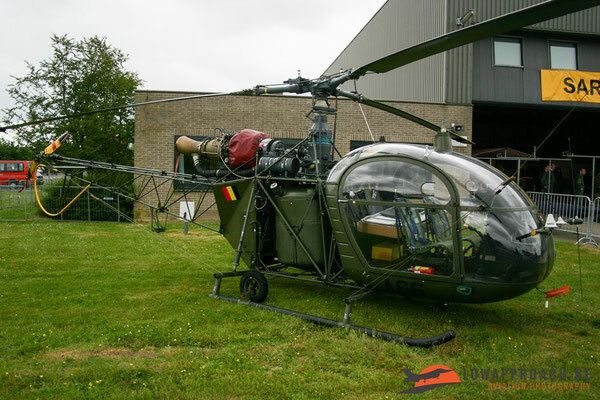 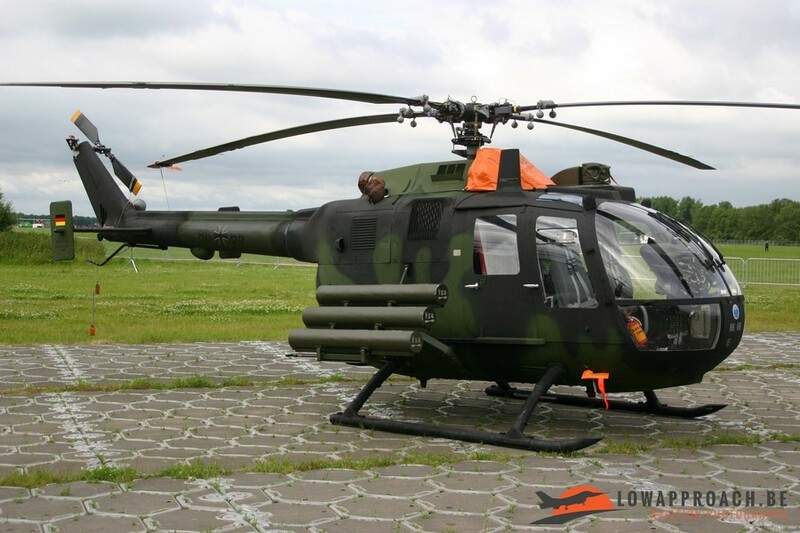 Unfortunately both the Alouette III and the Agusta-Bell AB412SP have since been withdrawn from service. As always the Dutch Air Force Days also have quite a large static display with both military and civil aircraft. 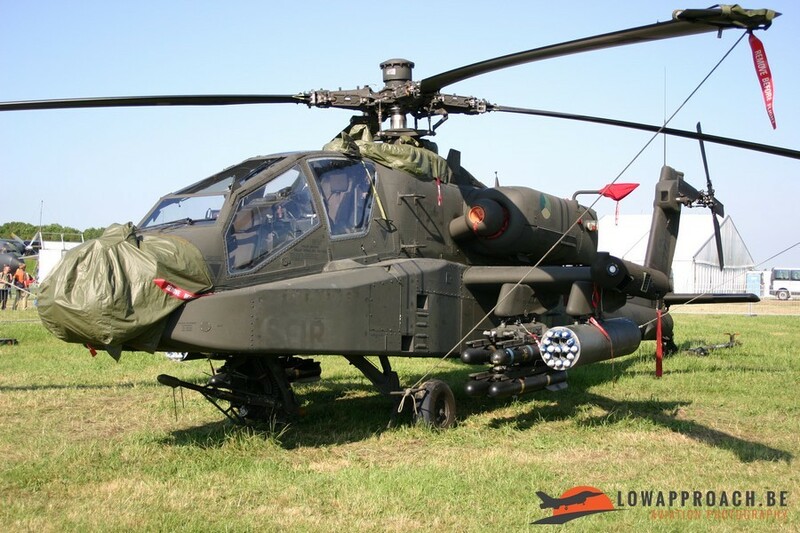 From the Dutch military side a McDonnell AH64D Apache, a Westland Lynx from the Navy, a Eurocopter AS532U2 Cougar and a Fokker F50 were present amongst others. 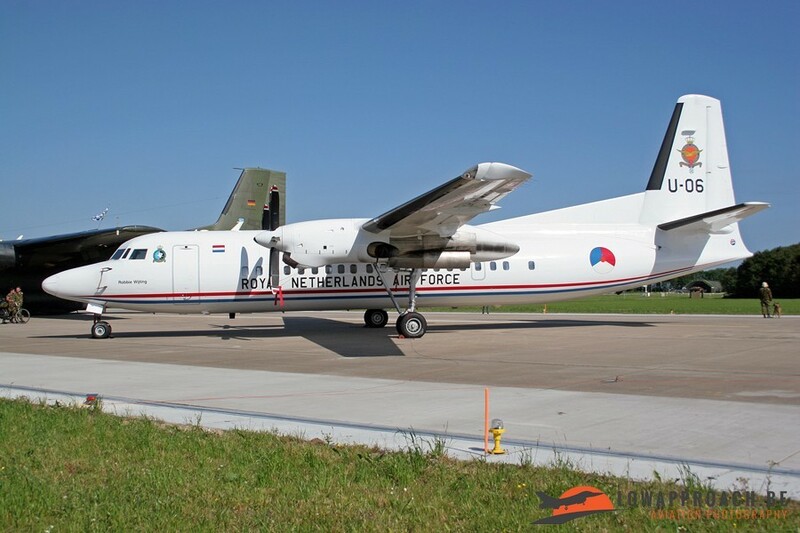 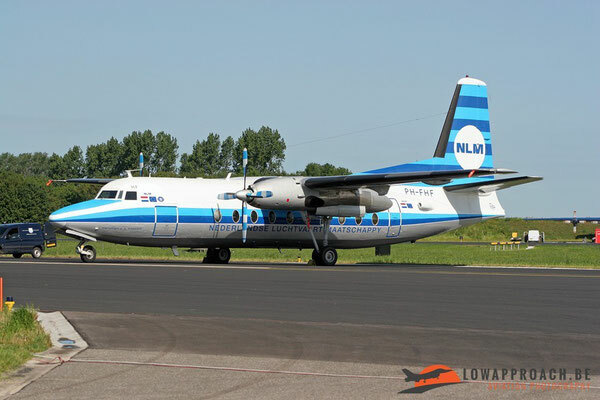 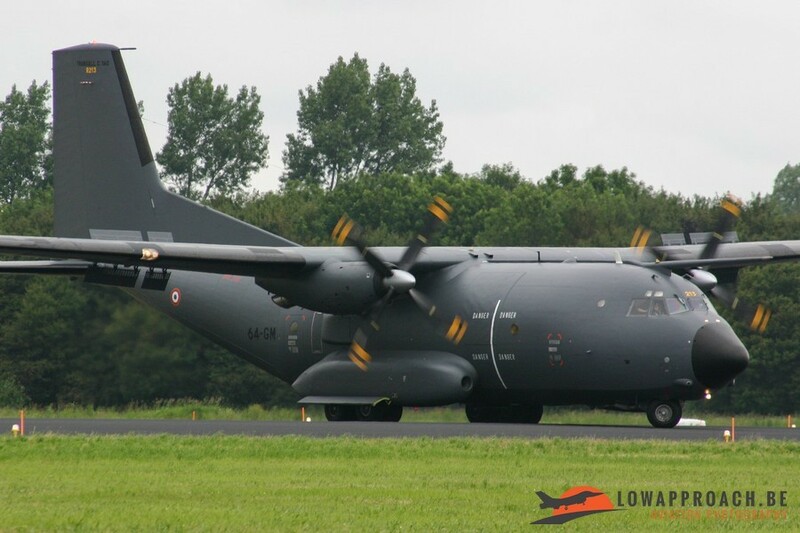 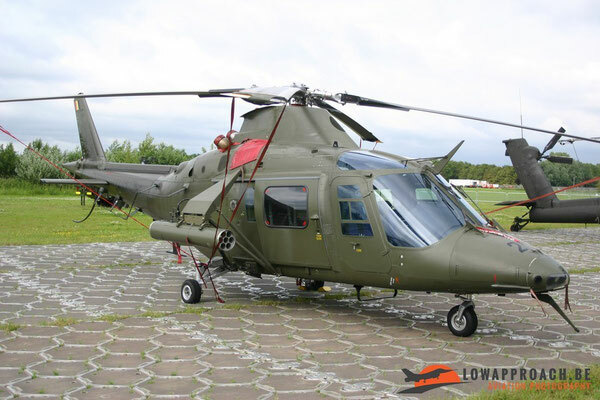 Since 2006 also the Lynx and the Fokker F50 were withdrawn from service. 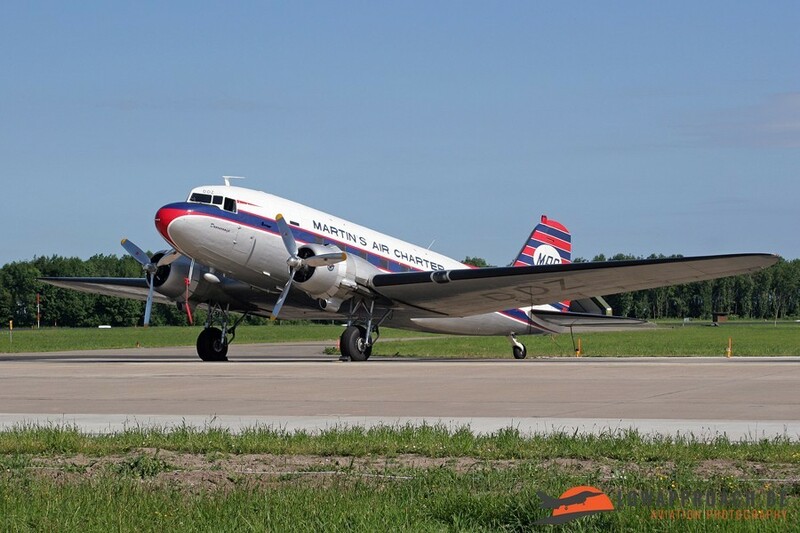 Also from the civil side a couple of interesting aircraft were in the static, a Douglas C47A Dakota from the Dutch Dakota Association and a Fokker F27 from the Fokker Heritage Flight. Several other NATO countries participated with a number of aircraft. Largest contributor by numbers was Germany. 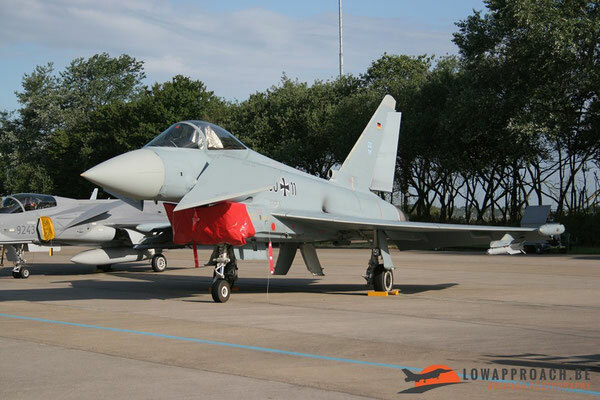 The Luftwaffe attended with a McDonnell Douglas F4F Phantom II and a brand-new Eurofighter EF2000 Taifun. 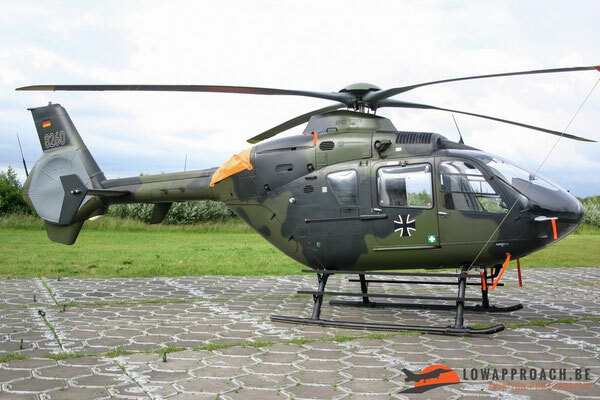 The Heeresflieger (German Army) brought over a Messerschmitt-Bolkow-Blöhm Bö105 and a Eurocopter EC135. 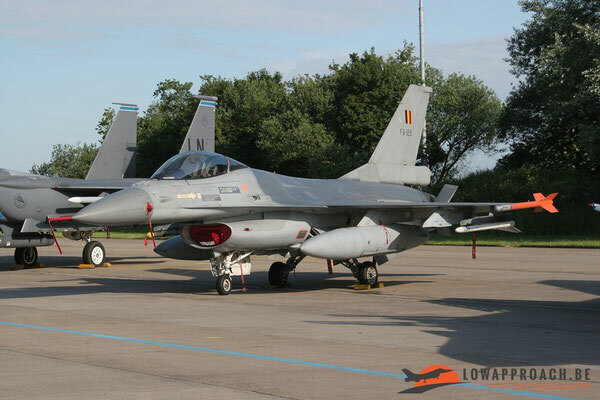 Belgium was also quite large contributor with an F16AM from Kleine Brogel and two helicopters, an Agusta A109 and an Alouette II. 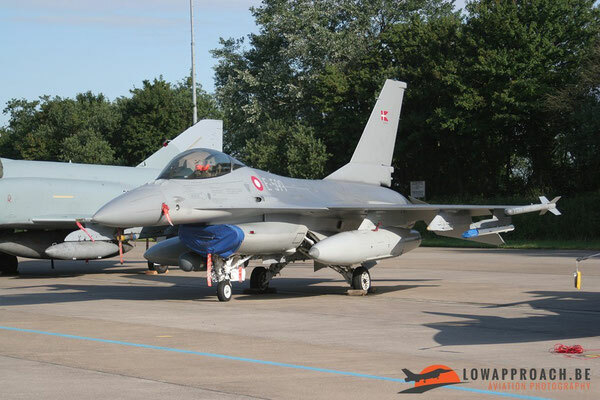 Finally there were participants from Poland, Turkey, Denmark and Austria. 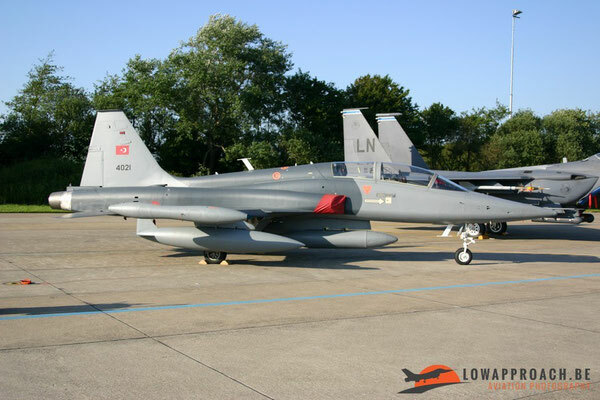 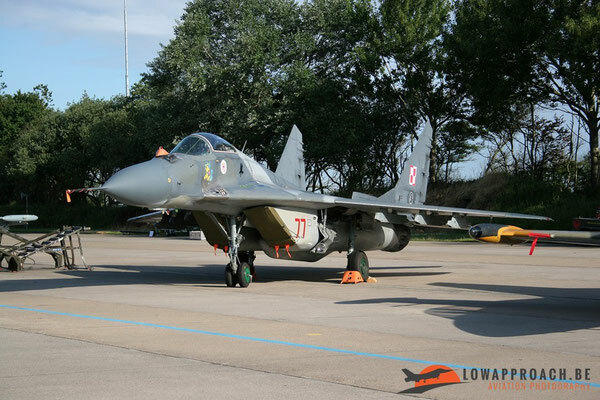 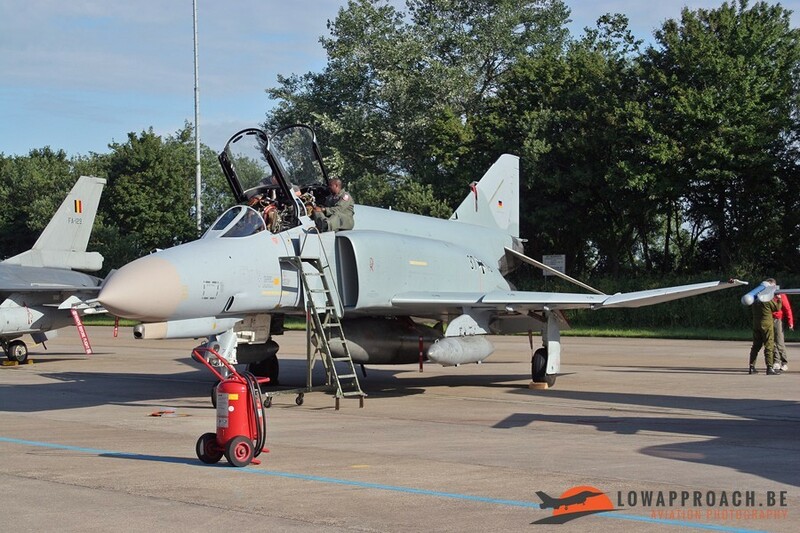 The Polish Air Force came with a Mikoyan-Gurevitch MiG29A Fulcrum, Denmark another F16AM, Turkey attended with a Canadair-Northrop NF5A Freedom Fighter and finally Austria with a Shorts SC7 Skyvan. Especially the Turkish aircraft was quite interesting as this NF5A was acquired from the Dutch Air Force. Finally I would like to close off with some Warbirds that took part in the display. 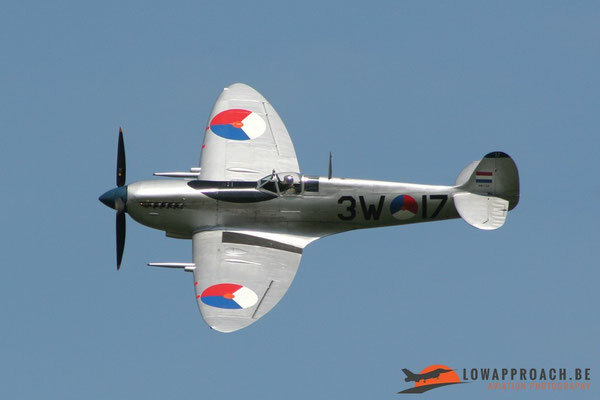 From the Netherlands we saw a Vickers-Supermarine Spitfire Mk.IX and a North American TB25N Mitchell from the 'Koninklijke Luchtmacht Historische Vlucht' (Dutch Air Force Historical Flight). 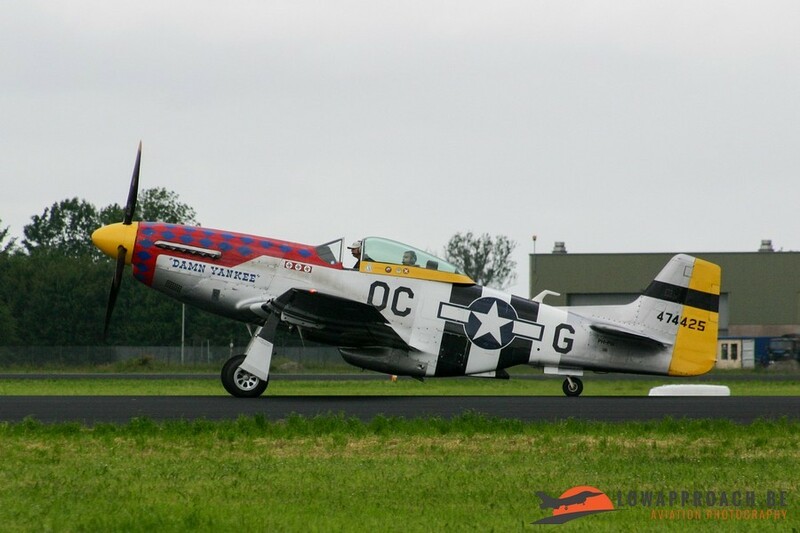 These aircraft were joined by civil-owned North American P51D Mustang. 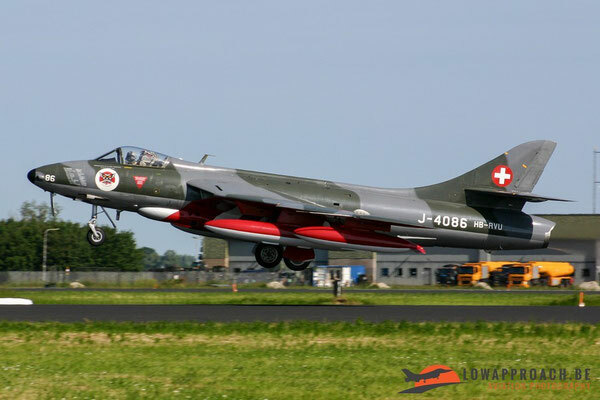 The 'Fokker Four'-team did a nice display in their Fokker S11 Instructors and finally we saw a display by a duo of Swiss-based Hawker Hunter jet fighters. 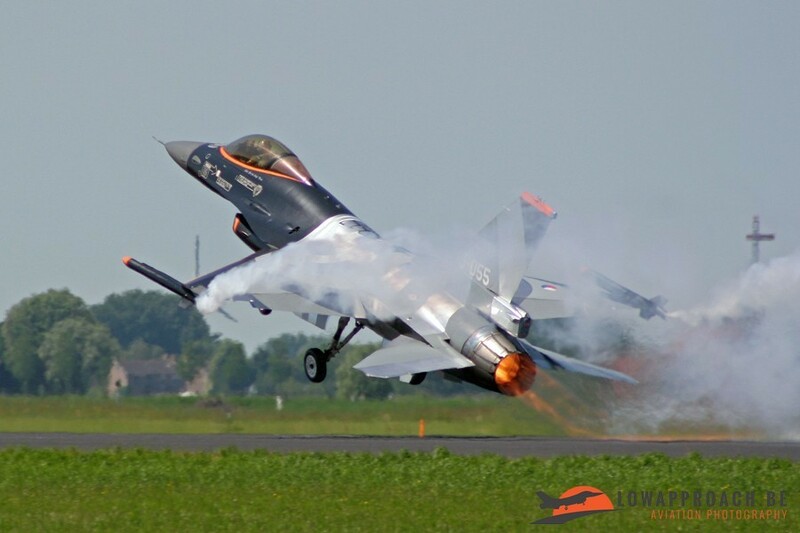 The Dutch Air Force Open Days are always a guarantee for some quality flying and quality aircraft. The 2006 was a really extraordinary one because of the presence of the Blue Angels, which filled quite a large slot in the display in the afternoon. In those days the event was organized annually, but because of budgetary reasons this was reduced to a bi-annual event. As already said 2016 will see another edition with hopefully again a large number of interesting aircraft.